Wholesale designed for real world people. Sexton Group Ltd is made up of a unique network of diversified and highly motivated Building Supply Dealers who value their independent identity. Price and quality are the two main components people look at when planning a project. If the budget is tight then one's decision might be based on best price. Someone who had a bad experience with a poor quality product that needs replacing may base the decision on quality. Finding out the right information about the products you are buying is a great start to purchasing the right product for you at the right price. Whether you plan to do it yourself or hire a pro, the key to success is factoring in all the critical design issues, picking the right material for your budget, climate, and lifestyle, and building a structure that will stand the test of time. There are a variety of products out there including composite decking. Composite lumber is a material that is a mixture of wood fiber, plastic, and some type of binding agent. These ingredients are put together to form a material that is denser, stronger, and heavier than wood alone, a wood-plastic composite. Fiberon decking is one example of what is available. Got a great installation tip, homeowner tip or just something you can share? We would like to feature you in our Contractor Corner. Send in your comments and have your business featured in upcoming issues. Let us help find a dealer near you! BuildForce Canada's 2014-2023 Construction and Maintenance Looking Forward forecast says oilsands growth will continue to fuel Alberta's residential and commercial construction industry. The Alberta Government is investigating disgraced former financier and real estate agent, now home renovations contractor, Dedric Robinson, after receiving numerous complaints from homeowners who say they are owed thousands of dollars. The Passive House, featured at the Buildex Trade show in Victoria in February, is designed to replace a six-unit structure, but expected to use 90% less energy than a typical apartment block. Business specialist Victoria Downing explains how to use microsites – mini websites – to feature specific specialties of your business and get online results. Mike Draper of Renovantage explains how to take advantage of the "honeymoon period" in client-contractor relations to establish open communications and conflict resolution throughout the project and beyond. Create an elegant finish to your outdoor paradise. Designed to perfectly complement your deck Goodfellow's Fiberon Professional -- Professional composite ramps are stylized, stable and solid. Available in 5 colors with overlays and decorative poles to match the Fiberon Professional deck. Offers design versatility with a wide range of rich colors and options of fillings. Designed to fit with Horizon Decking also complement other terraces Fiberon to transform your outdoor courtyard oasis. Patio Doors Are Energy Star Approved. All Weather Windows' 6000 Series Viscount PVC patio doors feature a PVC welded sash and frame, nylon rollers with stainless steel ball bearings and a screen. Energy Star Approved, the doors are available in wicker or white and are suitable for cottages and new home construction. The doors come with multi-point locking systems to ensure a tight, secure seal and have an optional keyed lock for the door handle. The Fox Block custom ICF Project Estimator worksheet allows you to enter your construction specifications to determine how much of the ICF product you need for your project. Here is a VERY BASIC online version for quick basic estimates. 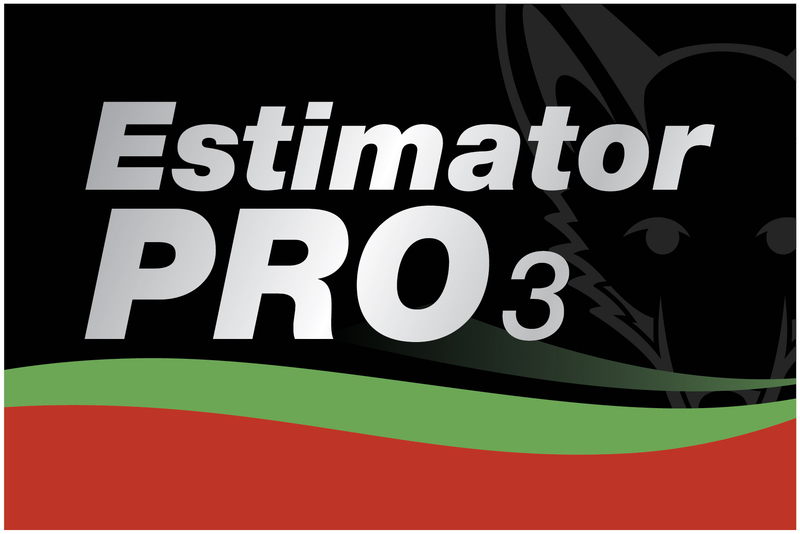 For a more a more robust and full-featured estimate needed for a full takeoff and project estimate- including man hours, price estimates, rebar and MUCH MORE- you will need to download the Pro Edition app (7mb)!